You are currently browsing the category archive for the ‘armchair audies’ category. It’s that time of the year again! Since the first edition, the Armchair Audies has been one of my favorite book blogging events. I’ve discovered lots of great reads but unfortunately, have yet to put my money in the winner – maybe this year? I’ve also noticed that this time around all books I searched for were available to me on Audible.com, while in previous years there were lots of annoying country restrictions. Several reasons for the choice: a couple of them were already under my radar, there’s a nice diversity in the writers, narrators, topics and geographical setting, and none are sequels. An Amish family is murdered after a botched robbery, but no one is brought to justice. Thirty-five years later, a series of mysterious murders all have in common a connection to that almost forgotten horror. Chief of Police Kate Burkholder is chosen to investigated and the case will strike a chord with her: many years ago she was also part of the Amish community before deciding to leave. When books are told in the first person a good narrator is essential, and in this case Kathleen McInerney discreetly but confidently became Chief Burkholder. She was a good choice for this book – her voice is expressive but calm, which suited the Amish theme, but could also handle the action scenes. Also, she was comfortable with German words and sentences. I’ve added a couple of books to my Audible wish-list because of her, so that’s a good sign! 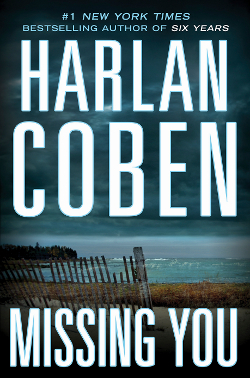 Yes, that rarest of things: a stand-alone mystery book. But one that was not my cuppa. The story revolves around Detective Kat Donovan, who’s persuaded by a friend to enter an online dating site. On her first time browsing profiles she comes across one with the photo of her first love, but under a different name. This triggers a plot that involves kidnapping, live burials, mafia, prostitution, closeted parents, mental illness and I don’t know else all wrapped in coincidences that should be confined to Dickens. And don’t get me started on the romance *eyes rolling to the back of my head* Sorry to be this blunt but it’s a short post and it’s that kind of day and that kind of book. I know Miss Susie, my fellow mystery category armchair judge, disagrees with me, but I felt that LaVoy’s narration was often over the top – she positively purred at some points (see her interpretation of a drunk guy trying to pick up women at a bar). On the positive side, LaVoy’s narration style really matched the book, so she was a good casting choice. I guess? 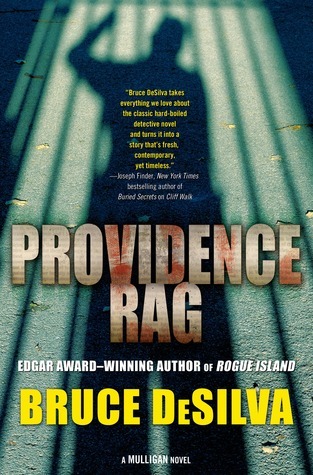 A bit like Malice, Providence Rag puts a twist on the typical sequence of a mystery plot, which made him stand our from the other books. During the start of his career as an investigative reporter, Liam Mulligan helps police arrest one of the youngest serial killers in recorded history. The community wants him in jail for life, but a loop-hole in Rhode Island’s law dictates he must be free at 21. Through a series of fabricated charges the killer has been kept in jail, but now one of Liam’s colleagues decides to report on these illegalities, igniting the anger of the justice system and general citizens against the newspaper. While Liam’s colleague pursues a story that will likely release the killer, Liam goes after a legal way to keep him behind bars. It’s an interesting premise and ethical dilemma that actually sparked a good debate at my dinner table one night. I had fun with the different characters and the way the story was told, with different POVs and with interludes, although I wouldn’t mind a more fleshier characterization of the main people. Providence Rags probably has the biggest number of speaking parts of all the books in this category and Woodman really does an amazing job in distinguishing each one of them. Often it’s a very subtle different, but just enough for the listener to easily follow a dialogue without getting confused about who’s talking. He managers several different accents, intonations and pitches, which is a hard thing to pull off and a sure indication of the narration’s quality. My first audiobook by him, but definitely not the last. The only book in the list that I listened to before Armchair Audies started, and by far the story that gave me more pleasure to follow. I like to think I’d feel the same if it wasn’t so famous, but who knows? The fact is: JK Rowling is an amazing story-teller and her characterization is on a different level from any other on the mystery list. 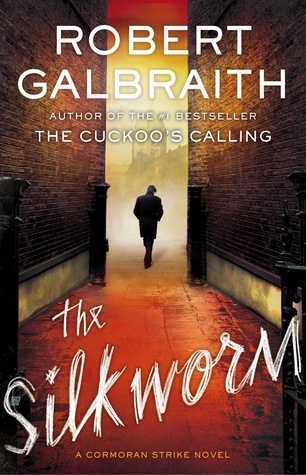 This second novel sealed the deal and I’m now completely engaged in the lives of Cormoran Strike and Robin Ellacot (and shipping them hard!). It’s also one of those books where you can tell the author is having fun in writing about the publishing business, exposing its dirty little secrets. As an narrator, Glanister started off with an advantage because I can’t resist a British accent 😉 He doesn’t get as many opportunities to shine as Woodman (see above), but for such a deep voice, it’s pretty impressive the range Glasnister managers to pull off. He doesn’t make women sound too whinny or childish and is the perfect voice for Cormoran (rough with teddy-bearish glimpses). There were some characters that could easily come out as stereotypes if read by a less professional narrator, but Glanister keeps them well under control. I’d say it’s a call between Jeff Woodman and Robert Glanister, but since I have to chose one, I’ll go with Woodman. Mostly for his flexibility and creativity in creating so many distinct characters in Providence Rag. The best of luck to all nominees!